As its title suggests, this cookbook by Chicago restaurateur Stephanie Izard—Top Chef's first female winner who was named one of "10 Breakthrough Rock Star Chefs of 2016" by Rolling Stone—is filled with delicious sweet and savoury recipes to share with loved ones. From duck breast with brown butter kimchi, to roasted shishito pepeprs with sesame miso and parmesan, there's no shortage of inspirational flavours. The yakitori restaurant's inaugural book tells the significance between charcoal and the versatile bird. It includes everything from a step-by-step guide to chef and co-owner of Yardbird Matt Abergel's grilling techniques, recipes for their signature dishes and cocktails, as well as chapters that explain the art of sourcing and butchering. Published by Phaidon, Chicken and Charcoal also chronicles Yardbird's past collaborations with artists, designers, illustrators, and brands such as Vans, Carhartt WIP, and Stüssy. Ask A Chef: What's A Telltale Sign That A Restaurant Has Heart? Noma in Copenhagen has long been seen as a kind of Mecca for chefs and dedicated food lovers. This, in large part, is thanks to chef René Redzepi's ever-evolving experiments to bring out the best in his ingredients, some of which he forages for by hand before bringing them back to Noma's Science Bunker—which has now been moved and renamed as the Noma 2.0 Fermentation & Research Lab. Redzepi shares the best of those experiments in this fascinating book. Much more than just pickles and sauerkraut, it teaches readers how to harness the power of the fermentation process to make koji, kombuchas, shoyus and even how to make miso out of pumpkin seeds. Following the massive success of Chrissy Teigen's first cookbook, Cravings, comes volume two. Known and loved for her brazenness and witty sense of humour, Teigen's carefree approach to cooking is as refreshing as it is soul-satisfying. From the banana bread that broke the internet to light salads and spicy shake-and-bake chicken, this book leaves no craving left unsatisfied. This book perfectly displays the potential of plant-based cooking. With recipes that range from sloppy BBQ jackfruit sliders with slaw to grilled peaches with vanilla-spiced gelato and mango sriracha caramel, The Wicked Healthy Cookbook has the power and flavour punches to convert even the most stubborn of carnivores. 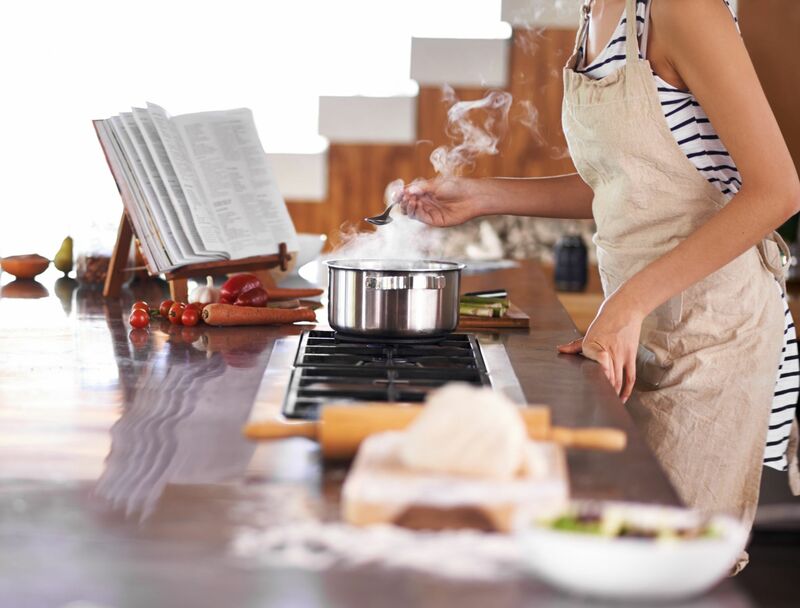 Aside from innovative plant-based recipes, you'll also find useful tips on everything from oil-free and gluten-free cooking to organising an efficient kitchen. Think you don't have time to put together an elaborate MIddle Eastern feast? Think again. Under the guidance of famed chef Yotam Ottolenghi, you can create deliciously simple meals in 30 minutes or less, with 10 or fewer ingredients, in a single pot, using pantry staples, or prepared ahead of time. Ottolenghi Simple, which was named one of the "Best Cookbooks of Fall 2018" by The New York Times, includes recipes like braised eggs with leeks and za'atar, lamb and feta meatballs and a simple yet satisfying salad of cauliflower, pomegranate and pistachios. Desserts and pastries can be tricky, so it's always good to consult the pros. Will Goldfarb, the acclaimed former elBulli pastry chef, published his first book this year and fans will be delighted to know that it's very much like his approach to cooking: sophisticated yet surprisingly simple, and filled with fascinating stories. Thanks to step-by-step photography, even rookies will be able to navigate Goldfarb's recipes with ease. According to Amazon, "Henry Firth and Ian Theasby, creators of the world’s biggest and fastest-growing plant-based platform, BOSH!, are the new faces of the food revolution." In their second cookbook, the pair offers a plethora of unpretentious recipes, from simple go-to breakfasts to hearty homemade dinners and tempting desserts. Whether you're a dedicated vegan or vegetarian, or you've recently decided to cut your meat consumption and eat a more plant-based diet, this vegan cookbook is an all-rounder that deserves a place in any kitchen. Through recipes and Sharma's honest yet always respectful writing, Season is a surprisingly intimate and thought-provoking masterpiece. If the Boston-based chef and founder of Christopher Kimball's Milk Street teaches us anything in Tuesday Nights, it's that there's never an excuse to not eat well. Kimball and his team of cooks and editors have curated a clever collection of 200 recipes, each of which offer straightforward techniques and bold flavours in less time. From rigatoni carbonara with ricotta to vietnamese meatball lettuce wraps or white balsamic chicken with tarragon, there's something to satisfy every mood or craving—no matter what day of the week it is. Malaysian chef and food writer Tony Tan has produced what is essentially a love letter to Hong Kong food, peppered with a mix of classic and creative recipes. "Hong Kong has always been my go-to destination for culinary inspiration and pleasure," says Tan. "So when I was approached by Murdoch Books to write a cookbook on Hong Kong a few years ago, I jumped at the opportunity." A great gift for loved ones living abroad, as its colourful imagery and mouthwatering Cantonese dishes offer a comforting taste of home. 12/14 Bestia: Italian Recipes Created in the Heart of L.A.
Bestia has been a Los Angeles staple since the buzzy restaurant opened its doors in 2012, thanks to its creative use of seasonal California produce to create rustic Italian fare. The recipes in this beautifully shot cookbok are rooted in the flavours and techniques of Italian regional cooking, like fennel-crusted pork chops, agnolotti made with cacao pasta dough and meatballs with ricotta, tomato, greens, and preserved lemon. Yum. Make sure you leave room for dessert! Christina Tosi is the brain behind New York's wildly popular dessert and bakery outlets, Milk Bar, which is part of David Chang's Momofuku restaurant group. In All About Cake, this magician in the kitchen reveals her secrets, sharing recipes for her iconic desserts including crack pie, their legendary cookies and the colourful confetti-covered birthday cake. Cooking for one doesn't have to be boring—it can be therapeutic and best of all, a practice in self love. So trade Deliveroo for Anita Lo's Solo, hit the kitchen and dish up something delicious for yourself. A former chef and owner of Annisa in NYC’s West Village, Lo offers plenty of industry-insider tips and tricks to take basic home cooking to restaurant level quality. We particularly love her recipe notes, which offer a glimpse into Lo's thoughts and inspiration, travelogues, and playful, often self-deprecating sense of humour.